The fatal police shooting of 18-year-old Michael Brown in Ferguson, Missouri, last year - and the riots and protests that followed - drew attention to the city's problems, including a lack of opportunities and a school system where students are suspended more often and graduate less frequently than any other district in Missouri. This fall, the city decided to try to do something to help students improve their academic performance and reading skills. 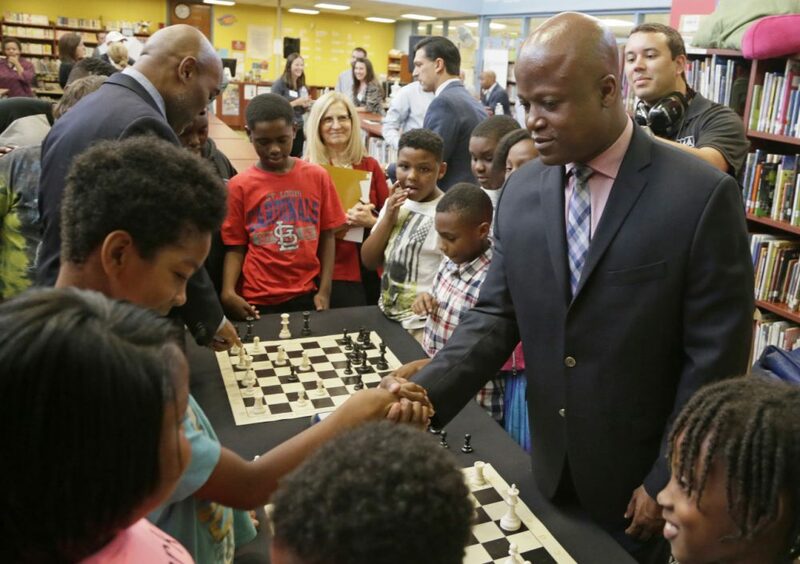 With private funding, the district's 20 elementary and middle schools, with the help of the Chess Club and Scholastic Center of St. Louis, implemented an after-school chess club. Tony Rich, executive director of the Chess Club and Scholastic Center of St. Louis, talks with Here & Now's Jeremy Hobson about how the program is doing and why chess helps young people. Tony Rich, executive director of the Chess Club and Scholastic Center of St. Louis. This segment aired on November 5, 2015.